Wisconsin’s bountiful natural resources make it an ideal place for outdoor recreation. Most plants and creatures you encounter won’t hurt you, but timber rattlesnakes, yellow jackets, wild parsnip, and others can be troublesome. 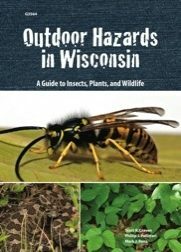 This guide will help you recognize, avoid, and handle potential problems caused by wildlife, insects, and plants in Wisconsin (36 pages). 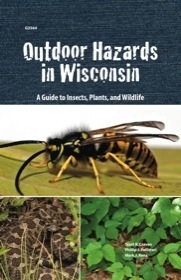 Includes: Bats, birds, black bears, coyotes, deer, gray wolves, porcupines, salamanders, short-tailed shrews, skunks, snakes, toads, turtles, bees, biting midges, blackflies, chiggers, deerflies, horseflies, mosquitoes, ticks, wasps, beggarticks, bittersweet nightshade, black nightshade, bull thistle, burdock, cocklebur, common ragweed, giant ragweed, jimsonweed, poison hemlock, poison ivy, poison sumac, sandbur, spotted water hemlock, stinging nettle, wild parsnip.